The Ink Away demonstrator group met yesterday at Janis Cox's house (my upline). Ink Away is Dorene Decibus's downline group and she always has something great planned for us. There is usually only a small group of us, but we enjoy getting together as much as the big group meetings. When we first got there, we started a project we are doing for the Ronald McDonald House in Boston. We were assembling a bunch (and I mean a HUGE bunch) of cards to send to the house for families to send to their friends and family while they are staying there. We had so many that we didn't finish, but hopefully after the next meeting we will have them all done so that we can have them delivered. At today's meeting Dorene, Janis and Leslie all gave presentations on Convention. We had some great discussions and it was very informative. I really wish I had been able to go! Hopefully next year! I gave a demonstration on the Big Shot and we all cut out a bunch of stuff using scraps. I also provided the Make & Take portion of the meeting. There will be a picture in a few days of it. We used the Big Shot to make part of the card. Well, I'd better get to bed since I have to get ready early tomorrow for the first Holiday/Christmas Card Class. Interested in joining the Stampin' Up! family? Now may be the perfect time! Check out this new promotion that Stampin' Up! is offering to new demonstrators from now through October 11th. Wondering how you can fit being a Stampin' Up! demonstrator into your life? Check out these fliers for information on the different types of demonstrators and the many benefits of joining. 1. Shelli, the co-founder and CEO of Stampin' Up! will be starting her own blog on August 4th at 9am MT (11am here on the East Coast). The address will be www.soshelli.com. I can't wait until I can start stalking that one, at least I don't have to wait long! 2. Shelli is starting a Signature Collection of products that will be her personal favorites. 3. Stampin' Up! will be releasing more Decor Elements in many different colors, sizes and shapes! My studio will hopefully have some of these soon! 4. ALL stamp sets in the Spring/Summer 2009 Catalog will be die-cut. I just hope that means that they will be creating dies for the ones that aren't yet and not retiring all of them!! 5. In the November issue of Country Living magazine there will be a 21 page spread featuring Stampin' Up! 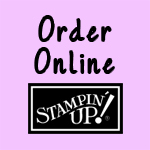 products as well as a limited-edition Stampin' Up! Kit. Keep your eyes peeled for that one! I'm figuring that this issue will hit newsstands somewhere between the end of September and the beginning of October. 6. Stampin' Up! has partnered with Sizzix and will now be offering a Stampin' Up! exclusive Big Shot and exclusive dies. You can view a copy of the brochure here. Customers will be able to start ordering these products on September 2nd. Mine has been ordered and should be here on Tuesday. I will try to make some projects to upload for you to view. The Big Shot is that it also works with other embossing folders and dies such as the Cuttlebug Folders and Dies and it also makes it so much easier to make multiple items at once since it can take several sheets of cardstock at a time. The Big Shot dies can cut through all kinds of materials too. Including fabric, vinyl (create your own Decor Elements), chipboard, plastic canvas, iron-on fabric, felt, rubber, brass (.055), lightweight steel, aluminum (.016), tin (.008), and beeswax. Since the group is back in classes this morning and session doesn't close until 2:00 MT, this is all I have for now. I'll update this post if I hear anymore news. Thanks for stopping by...time to get going on stuff for my class that is a week from today and my fair that is 2 weeks away! I'm also IMPATIENTLY waiting for my Fall/Winter catalog to arrive...when will the postman bring it??!! Here is the Discontinued Accessories List! The items are only available while supplies last. I will try to update this daily to keep it current. If you've been waiting to purchase any of these accessories, then this will be your last chance to order. Email me with your order, shipping and payment information and I will try to get them for you before they're gone! *Items are 25% off and part of our discounted retiring accessories promotion. View the Discounted Discontinued Accessories Promotion Flyer.